Opportunity. All children with disabilities between birth and twenty-one years of age or to the maximum age allowable, as defined in federal and state law, will be provided a free appropriate public education in accordance with federal and state laws and in accordance with the special education rules and regulations of the Iowa Department of Education. Responsibility. Administrative responsibility for all special education programs for children with disabilities shall rest with the building principals under the authority of the Superintendent of Schools. Child Advocacy. 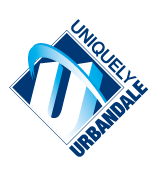 The Urbandale Community School District recognizes its responsibility to identify, to evaluate and to provide a free appropriate public education to enrolled and preschool children with disabilities. The Board of Directors assigns each licensed employee with a child advocacy function to maintain a vigilance on the educational functioning level of all children under their charge and to report to the principals any child who may have a disability necessitating special programming. Building Assistance Teams. Building assistance teams are responsible for the identification of children with disabilities and for the design of individual plans, placement and evaluation procedures in accordance with law. Parents shall be invited to participate in the planning and implementation of their children’s educational programs as required by law. Individualized Education Plan. All present or proposed special education services for a student shall be based upon a written individualized education plan (IEP) for the student. The IEP shall meet requirements of federal and state laws and the rules of the Iowa Department of Education. Impermissible discriminatory testing and evaluation practices shall not be used in developing an IEP. Only trained personnel shall administer standardized assessments, which shall be administered in the child’s primary language. Each IEP shall include (1) a statement of the child’s present level of educational performance; (2) a statement of measurable annual goals, including benchmarks or short-term objectives in each area of need; (3) a statement indicating specifically special education and related services and supplementary aids and services which will be provided the child or on behalf of the child; (4) a statement of the program modifications or supports for school personnel that will be provided for the child; (5) a specific indication of the extent to which the child with a disability will not participate in the regular educational program; (6) a projection of the dates services will be initiated and anticipated frequency, location and duration of services; (7) a statement of how the child’s progress towards the goals will be measured and how the parents will be regularly informed of progress; (8) a statement of how the child’s disability affects the child’s involvement and progress in the general curriculum; (9) a statement of any individual modifications in the administration of State or District-wide assessments or why the assessment is not appropriate; (10) where appropriate, a projected graduation date and criteria to be met for graduation; (11) if appropriate, a continuum of intervention strategies and programming to change inappropriate behaviors; (12) if appropriate, transitional programming; and (13) if appropriate, a statement that the student has been informed of the transfer of rights to the student. Review. Each child’s IEP shall be reviewed at least once annually or as required by federal or state laws and rules of the Iowa Department of Education. Least Restrictive Environment. The Board recognizes that most children with disabilities have greater similarities to children without disabilities than differences and should be educated with or in close proximity to the general school program to the benefit of all children. To the maximum extent appropriate, children with disabilities shall be educated with children who are not disabled, with appropriate consideration of the other students. Removal from the general educational environment shall occur only in accordance with the student’s IEP. Students requiring special education shall attend general education classes, participate in nonacademic and co-curricular services and activities and receive services in a general education setting to the maximum extent appropriate to the needs of the individual student. When making a placement decision, the least restrictive environment for each child shall be determined in accordance with law. Facilities. Facilities for special education services shall be at least equal in physical respects to facilities for regular program services. Facilities for special education services shall be integrated with facilities for regular program services to the maximum extent practicable so as to maximize the integration of students with disabilities into the life of the school and minimize separation and stigmatization. written notification to the parents or guardians when the District proposes or refuses to initiate or change the identification, evaluation or placement of a student, or the provision of a free appropriate public education. When appropriate, the notice will describe the action proposed or refused, explain why it is proposed or refused, describe the options and data considered and explain why the other options were rejected. Notices shall be in the primary language of the parents or guardians. an opportunity for a due process hearing relating to the identification, evaluation, educational placement and/or provision of a free appropriate public education of a student. the right to have a multi-disciplinary evaluation and the right to have considered an independent educational evaluation of the student at the parents’ or guardians’ expense (or at public expense under certain circumstances). the obligation to seek consent of the parent or guardian before conducting an evaluation or before initial placement of a student in a special education program. Notices to parents will explain that consent for evaluation and placement is voluntary and can be revoked until the action takes place. the assignment of an individual to act as a surrogate for the parents when no parent can be identified or located or the child is a ward of the State. Contracting for Services. If the child’s disability is so unique or for other legitimate reasons it is determined that an appropriate program is not and will not be available within the Urbandale Community School District, the appropriate services, upon proper identification, diagnosis and staffing procedures, will be secured for the child by contracting for such services from another public or private agency. Graduation. Children with disabilities are entitled to a free appropriate instructional program to 21 years of age or until graduation after the satisfactory completion of the appropriate course of study or to the maximum age allowable in accordance with law. Students requiring special education who complete prescribed courses of study, which shall be tailored to their disabilities, shall receive diplomas from the District. The diplomas shall be the same as that granted to regular program students who meet the prescribed requirements for graduation. Failure to maintain an acquired skill, as a result of an interruption of special education instruction or support services in a skill area, to the extent that a period of reteaching of nine or more weeks will be required to regain previous competence. In these cases ESYS programming shall be designed to provide for maintenance, rather than continued development, of the skills identified. Rare and unusual circumstances which will result in the loss or a severe limitation of the pupil’s capacity and potential to acquire a skill. In these cases, ESYS shall provide for the maintenance of the skill and may also provide for the continued development or acquisition of a skill to prevent the anticipated loss or limitation. Transportation. Transportation of students who require special education services shall generally be provided as for other students. (See Transportation in Article 700.) When the IEP calls for transportation as a related service, the District will provide the transportation or will reimburse the parents to provide the transportation. Any required special assistance or adaptations necessary for transporting the student shall be specified in the IEP. Students Enrolled in Non-Public Schools. The District insures that opportunities are available for students in non-public schools within District boundaries to participate in special education instruction and/or support services. By consultation and consistent communications with non-public school personnel, the District shall strive to provide access to the same services to these students as are available to those who are enrolled in the public schools. Early Childhood. Children from birth through age five shall be provided comprehensive special education services. The District shall work in conjunction with the Area Education Agency to provide services at the earliest appropriate time to ensure a smooth transition of children entitled to early childhood special education services.